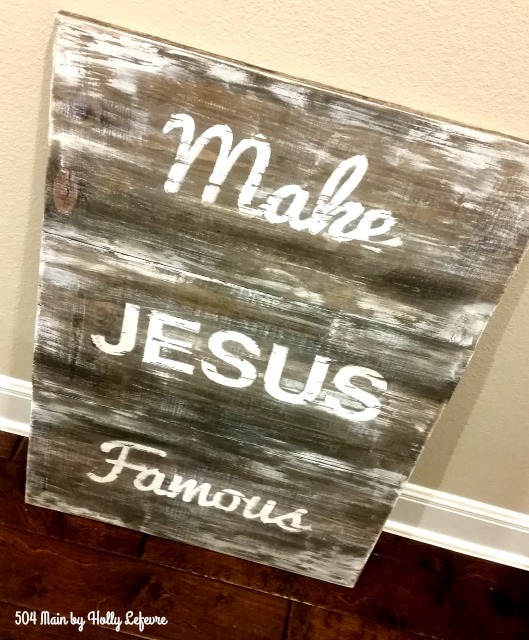 On a whim, a new friend asked me if I could make her a sign on a pallet. "Sure! I can do that." She had a vision but was also willing to let me do my thing. 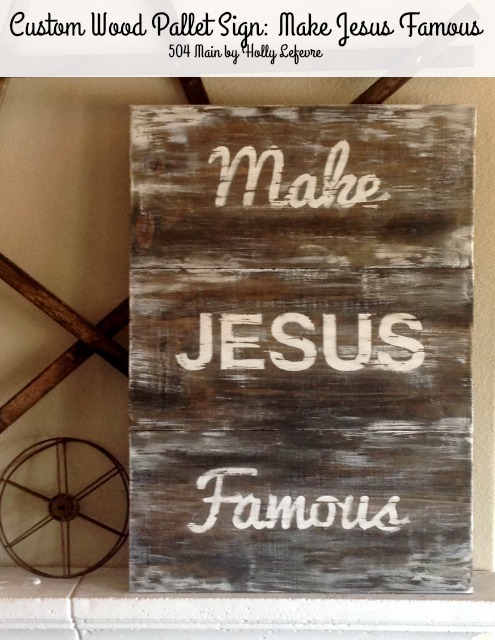 Really, in the end all she specified was the wording "Make Jesus Famous." This was going to be a statement piece for sure. At first, I thought I couldn't do this statement justice, but then I put on my DIY pants and well, was really happy with the final product. I actually LOVE it...and so does my friend. 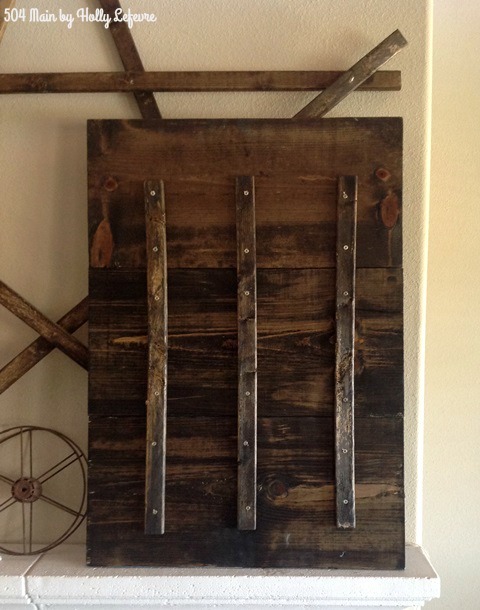 The simplicity of the wood "pallet" with such a strong statement work so well together. 1" x 12" Pine boards. One 6' board should yield you the three pieces you need. 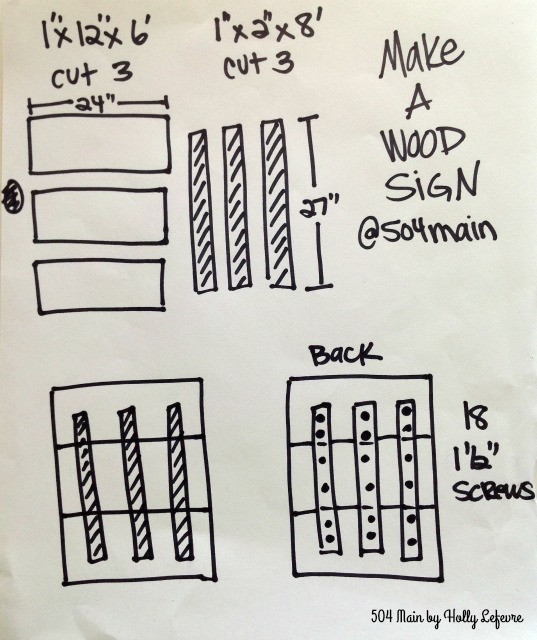 Firring strips or 1 x 4 pine boards. You need 3 28" long pieces. Stencils (one in cursive and one in block lettering) from the Craft store. I am totally font challenged. I used this Font Pairing tutorial from The Girl Creative to assist with my font pairings. I cut my stencils, weeded them, and applied transfer tape. 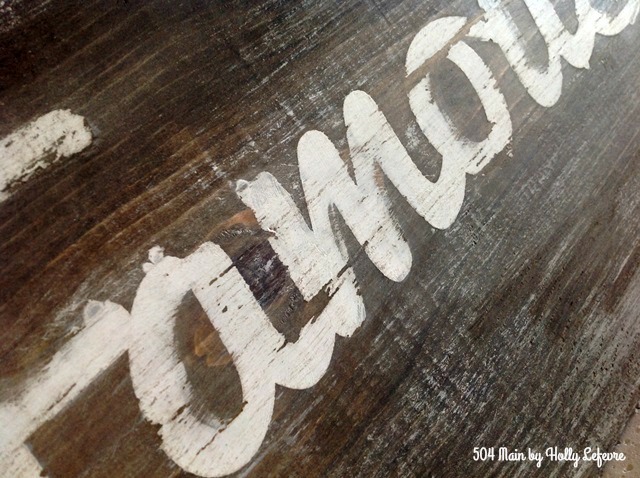 You can also use stencils found in a craft store - just mix a cursive font with a more block font. Stain all the boards and firring strips. Wipe and let dry. Flip the boards over, keeping them in the order you desire. Place the 3 strips on the back, one centered, and one on each side, about 4" in from each side. Screw the strips to the boards. I used 2 screws in each board. I applied the stencil to the board. 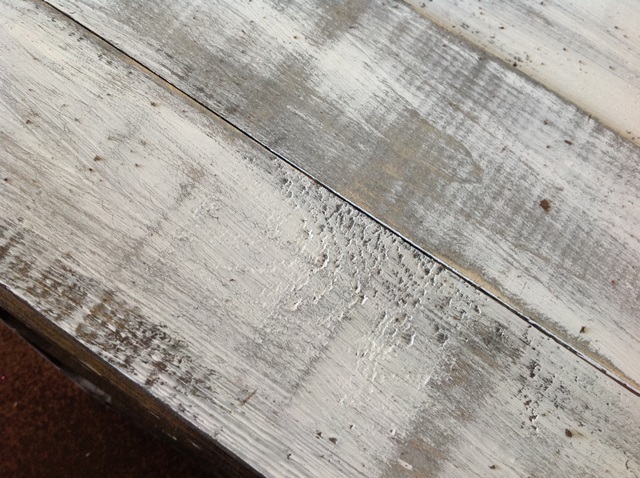 Using the Chalky Finish paint and a pouncer, apply the paint. I applied about 3 coats. 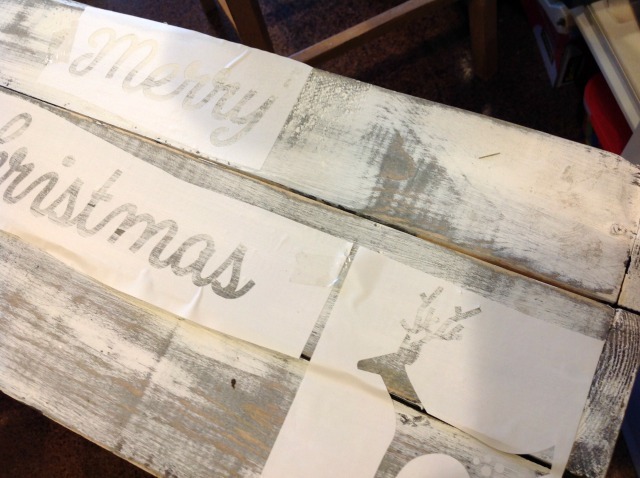 Let dry and remove the vinyl stencil. I personally felt it was not distressed enough and lacking a bit of character. I used a wide brush and a dry-brushing method and ran strokes of paint (LIGHTLY) all across the signs, leaving heavier areas in the corners and creases. Sand all over, especially the edges. 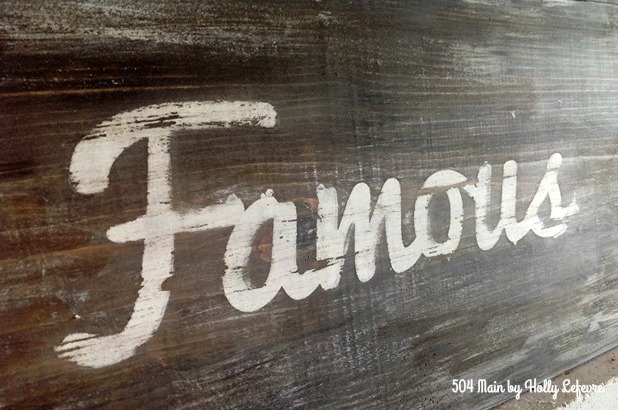 I like to use the "tip/point" or my dremel and run it through the letters for extra character. 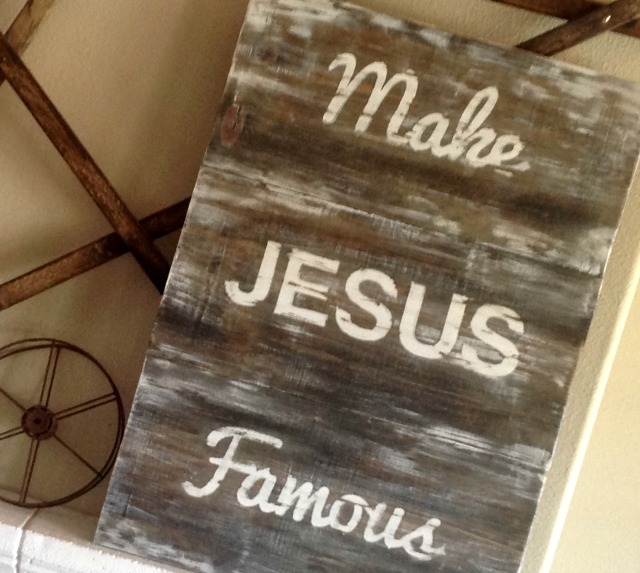 Spray with a clear coat or wax. All done...time to make a statement! 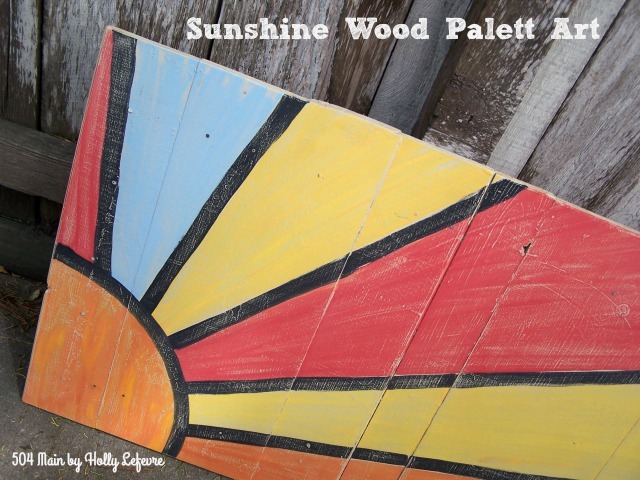 I love this Sunshine Pallet I made a few years ago...you might too! 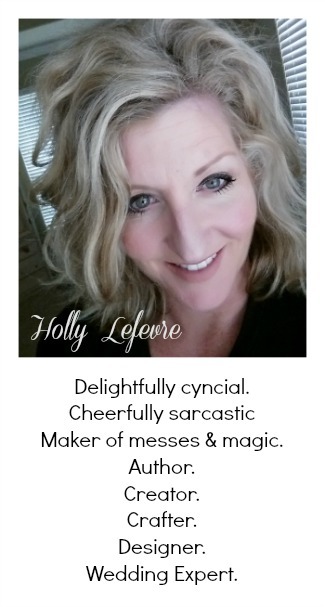 What a great sign, Holly! I'll bet your friend loves it.